Cars have life-spans, just like living things. This means that no matter how fancy or reliable your vehicle is. One day it will not be fit for the road. This is something everyone needs to plan for. And when it finally happens. It is good to know that Mitsubishi Wreckers are here to quickly buy the old junk vehicle off you at a moment’s notice. All the reputed Mitsubishi wreckers always pay the top cash for all Japanese make and models. They buy and then wreck not only cars, but Utes, vans, 4×4’s, SUV’s and trucks. And you won’t be short changed either. You will get every last cent of your vehicles worth coming back to you. And that is on top of the maximum speed that they operate at. If you are about to sell your Mitsubishi truck, car, Ute or 4×4 but you want to get some quotes to see who pays the most. You can expect Mitsubishi dismantlers to give you a quote quickly and free of charge. Simply call them or fill out the online form. You won’t be obligated to continue doing business after the fact either. You won’t have to make any sort of arrangements to have the car transported to the salvage yard at Mitsubishi Wreckers’ Premises. The good people at Mitsubishi removal experts will take that responsibility off your shoulders and place it on theirs, free of charge. This service is a god-send for people whose Mitsubishi has reached the point of disrepair that has rendered it completely non road-worthy. You don’t have to take the risk if driving the non-registered vehicle to our yards when we have a free pickup service which works nationwide. If you think that there is a chance that Mitsubishi Wreckers will reject your vehicle based on what model it is. You will be pleasantly surprised. Carisma, Tredia, Proudia, Mirage, Eterna, Emeraude, Dignity, ASX, Aspire, Galant, Lancer, Eterna, Sigma, Diamante or Debonair are examples of models they will buy. Because they will in fact buy your Mitsubishi no matter what model it is. The same principal applies to what condition it is in. Whether it has been in a flood, fire or accident you can be rest assured that Mitsubishi Wreckers will buy it off you. If you are unsure about your Mitsubishi model. Then giving us a call and we can help you to find that. We always try to offer you the best price for that. 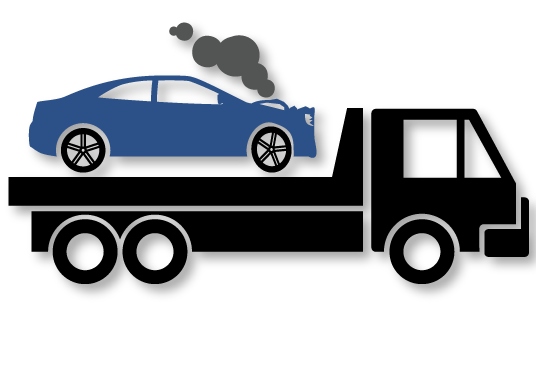 If your vehicle is totalled then please mention beforehand. If you want to buy a second hand Japanese part to fix your vehicle with. This is because Mitsubishi dismantlers just happen to sell parts as well. They are high quality and affordable. 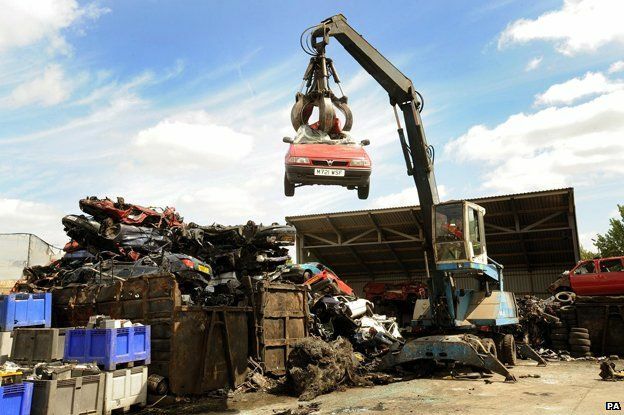 Get in touch with your local Mitsubishi wreckers today and sort out your unwanted automobiles off the shelf. This entry was posted in Mitsubishi Dismantlers and tagged Mitsubishi removal on May 23, 2017 by admin. The time has finally come to admit that your car is effectively junk and you need to get rid of it. But the question remains: how? Never a more important question has been asked, and yet there is still some debate as to how to go about selling a junk car effectively. Fortunately, there are companies out there whose main purpose is to buy junk vehicles from people. But there are still certain things that you need to look out for. Here are some hints and tips to help you along the way. This one really goes without saying. When you hire one of these companies, you will be wanting to take advantage of the free removal policy that they should have. And that means that they will be coming to your place. If you live in another town, they probably won’t do it and will tell you to contact a Cash for Car Company closer to you. The majority of local removal companies won’t leave the opportunity to grab your junk or scrap vehicle anyways. Everyone loves money, and of course the more money the better. So it makes perfect sense that you will be wanting to get the most amount of money possible for your junk vehicle. This will probably mean that you will need to contact a few different local vehicle removal companies to compare quotes. This will provide you with an opportunity to see how responsive they are at the same time. Contact them by filling out the free cash quote form that they will almost certainly have on their website. You don’t have to rush into anything. In fact, it is perfectly okay to take your time with this process. This will ensure that you get the best amount of money possible for your junk car. Of course, if you actually need the money quickly and you don’t have time to dilly dally, feel free to disregard this last one. It is extremely important that you take extra special care to find out what the reputation of the company you are looking at is like. Taking note of a cash for cars company’s reputation will help you to avoid companies whose level of skill and expertise are not up to scratch. But how do you do this? Well, the best way is to jump online and see if they have customer feedback. Also ask around town, amongst friends and relatives. You may also find it helpful to check out regional online message boards and ask questions. There are many reputed Brisbane Car Removal companies that you can choose from and request for the free auto removals without saying a word. This entry was posted in Auto Removal service and tagged Auto Removal Brisbane on May 3, 2017 by admin. At first thought, you may think it is impossible. Your second thought may be that you won’t get a decent price for the car if you sell it “As Is.” Then, you may think of the time you’ll save if you could just avoid the time and cost of fixing, repairing, advertising, and selling your auto. Then, you think what if I go to the time and expense and can’t find a buyer, or can’t find a buyer that covers the cost of what I’ve put into the vehicle to get it ready for that great priced sale? Broken Car Collection offers the solution to sell broken down cars without getting lowballed for the price. We are the Car Buyer in Brisbane that buys vehicles “As Is,” and we don’t insult our customers with lowball offers. At Broken Car Collection, we are Auto Buyers in Brisbane that buy every make, model, age, and condition of a vehicle. We are the Auto Buyers that pay great cash regardless of the condition of the vehicle. Your vehicle may be in scrap condition, and we’ll make you an offer for its recycle value. Who knows, your auto may have many precious metals under the hood, and if it is an SUV, it is worth more than most vehicles in its steel weight. You won’t know the offer we’ll make you for its recycle until you give us a call with the make, model, age, and condition of the vehicle. You may have a car that needs a few repairs. Maybe you can’t afford the repairs right now, so you wait, thinking next paycheck I’ll take it to the mechanic. Or, perhaps you can’t find a buyer for your mint condition used auto, or your mint condition used vehicle has been involved in a car collision. Whatever the reason for you selling your auto, we are the buyer in Brisbane that will make you a cash offer today. Call us at 07 339 39 929 or fill out our “Get a Quote” form on our web page. Let our car appraisers go to work taking into consideration all the important aspects of your vehicle so that we can make you the best cash offer. Accept or reject our Cash for Cars Brisbane offer. Selling your auto to Broken Car Collection is that easy. Give us a call today! When junk vehicles reach the end of their lives. A lot of folks often get intimidate on how to deal with it. In fact, it turns out that no solution will be able to help them to get rid of the pile of rust littering up their garage. But, fortunately, there are incredible businesses known as Car Wreckers that buy and wreck all types of junk automobiles. When a vehicle damages beyond repair. The vehicle wreckers are hired to derelict the vehicle. These vehicles are generally sold to the auto wreckers for cash. Who in turn decommission them for usable parts. The parts are first reconditioned and tested and then sold as used spare parts at a good profit. These parts are usually stored in their vast inventories ready to be collected by the customers. Thus, when an order is placed, the component is easily sourced without waiting to be extracted from the vehicle after wrecking it. Additionally, most of the vehicle breakers yards also have proficient mechanics to repair and install components in the automobiles. 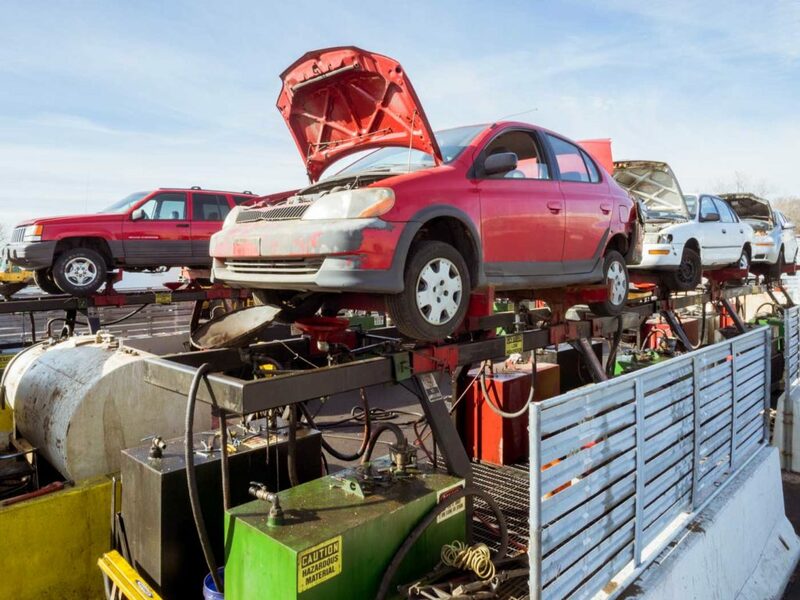 Find out the primary benefits of using Car Wreckers, Removal & Recycling Services. On the other hand the vehicles that are in good state are usually sold to amateur auto builders or motor enthusiasts. Once the auto wreckers have removed the vehicle it is taken to their wrecking yards. They are often stacked in a row. 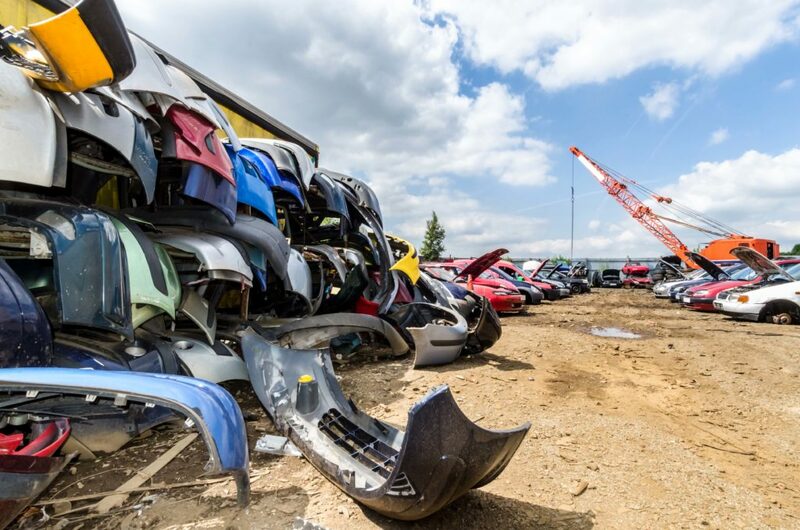 After this an inventory of all automobiles, their locations and their undamaged or recyclable parts are recorded in an electronic database for reference purpose. As these days, auto wreckers provide satellite path finder services that can be used to find out the availability of the requested part by just having a look at many wreckers databases cumulatively. This also helps in dealing quickly with the requests without any unnecessary delay. Generally, the most common type of auto breakers are the ones that specialise in dismantling vans, cars, Utes, 4WDs and SUVs. However, there are also dismantlers that break boats, aircrafts and motorbikes as well. And, since they buy variety of vehicles they offer a wide range of Car Parts Online. Most of the components are easily removable and small in size including seats, hubcaps, headlights, mirrors and so on. The vital auto parts such as the transmission system, brakes and engines are also pulled off and reconditioned under the supervision of the expert wreckers. However, all of their parts usually come with a warranty. Furthermore, the scrap metal and junk metal items extracted from the automobile are sold to scrap metal recycling yards. There are several parts in automobiles that can be used to extract different metals like copper, aluminium, iron, zinc, brass, stainless steel and nickel. These metals are first recycled and then sold to large scrap refineries and brokers at profitable prices. Overall, there are so many significant benefits of hiring the vehicle wreckers. The reuse the parts and recycle the rest of the metal. It helps different industries to get the new products. This entry was posted in Auto Breakers and tagged Auto Dismantlers Brisbane on March 20, 2017 by admin. How to hire the right auto wrecking company? Do you currently own a junk car that is ruining up the valuable space on your property? If so, then you might be quite eager to get rid of it. This is obvious, as who would love to keep an old clunker which can decrease the beauty of their back lawn. You maybe also know that the decent way to dispose a junk automobile is to have it removed by Auto Wreckers. These are the people who take the junk cars for cash and then tow it away to their scrap yards for recycling purpose. Find your local Sydney Wreckers and sort out your Junkers for decent cash. On the top of that, Auto Dismantlers are also a great place to buy affordable and quality used auto parts. These companies hold giant inventory of used spare parts which are removed from salvaged vehicles that they buy and then recycled to resale. This is another good reason to contact them if you are need of second hand parts to fix up your vehicle in order to keep it running on the roads. Your next possible step will be to search for auto wreckers in your area. And, of course you will find plenty of them. But if you want to choose an auto dismantling company that offers reliable services without any hassles, you must know the correct ways to find one. As nowadays most of the people value their time, it is of great convenience if one is being able to access an online range of stock of the company they are dealing with. This way you can easily check whether the company has the part you are looking for or not. And if you didn’t find one you can move on to the next company. Auto salvage yards are the best place to sell your junk wheels too, as they recycle trash vehicles carefully. Even if the vehicle is not running as it may have reached the end of its life, one won’t have to worry. This is because most of these companies offer free auto pickups or removals. They will come to your given place, inspect the automobile and will haul it away for free. Thereby, saving you the expenses of doing so. This is perhaps the best reason to choose these companies when it comes to buying second hand auto parts. They offer used parts covered under warranty. Client satisfaction is top priority for all the Auto pickup companies. This is why they ensure complete satisfaction to their customers and pay ready cash at the time of removal. When choosing a junk removal company, make sure you are getting efficient and top-rated service. Also make sure to get cash quotes from several companies so that you can easily find the best cash offer for your old Junker. If you live anywhere in Australia and looking for reputable auto wreckers, always look for the local providers. There are so many trustworthy and responsive team of professional wrecking specialist’s available. This entry was posted in cash for scrap cars, sell my car and tagged Brisbane Auto Removals, Brisbane Auto Wrecking on October 13, 2016 by admin.